It’s well known that organizations with strong leaders can double their revenue and profit growth. But if you don’t initially select the right people for your high-potential (HiPo) employee program, you’re setting yourself up for failure. With competition for the hottest talent getting stronger every day, make sure you’re doing everything possible to develop your best and brightest. New research from the Corporate Executive Board (CEB) revealed that more than two-thirds of companies are misidentifying their HiPo employees, jeopardizing their long-term corporate performance. This failure drives true HiPos — those who demonstrate the attributes to be successful future leaders — to pursue positions with potentially competitive organizations willing to invest in their development. 55 percent of HiPos drop out within five (5) years. This means much of your investment in a HiPo program is at best wasted and, at worst, feeding your competitors with some of your most highly valued employees. 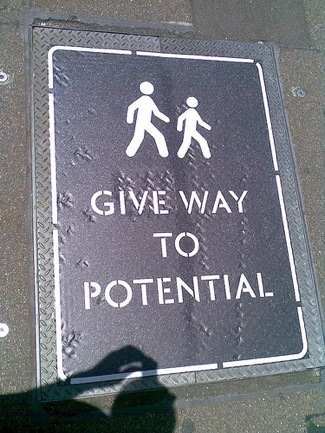 Redefine “potential” – Adopt a clearer definition that accounts for the key attributes employees need to have in order to rise to more senior roles: the desire to assume senior positions (aspiration); manage and lead others effectively (ability); as well as having the commitment to realize their career goals with their current employer (engagement). By choosing individuals who score highly on these key motivations and behaviors improves the odds of achieving an executive position by a factor of 11. Measure potential objectively – Rather than relying solely on subjective manager nominations, organizations should adopt a systematic process for identifying HiPo talent through objective talent assessment and evaluation. By measuring key attributes, you can identify the one in four early career professionals who have the right managerial and leadership potential. Ask for commitment in return for career opportunities – Proactively evaluate engagement and act to mitigate flight risk among HiPo employees by evaluating their engagement today and their longer-term commitment to the organization in the future. Nearly 60 percent of HiPo employees with high engagement levels have a high intent to stay – more than double that of HiPos with lower engagement. Create differentiated development experiences – Typical HiPo programs provide opportunities for incremental skill building, but fail to prepare HiPo employees for realistic future roles. The best organizations help HiPos learn new skills, but also apply existing skills in different roles by exposing them to high-impact development experiences. You can expect to improve the success of your programs more than 10-fold by correctly identifying HiPos and engaging them with the right training and development. Not only will you be well positioned to groom employees for senior leadership positions, but you’ll also strengthen your talent pipelines and reduce the flight risk for the business longer term. A slightly different version of this article originally appeared on the OC Tanner blog.